Social Bite’s Digital Inclusion Project has just received a huge boost in the form of 25 laptops and 4PCs. The generous donation is the result of a joint venture between IT re-furbishment and re-sale specialists Re-Tek and business and accountancy firm Scott-Moncrieff. This collaborative effort grew out of a conversation last year in which Re-Tek responded through Social Bite to a homeless man’s need for a mobile phone to maintain contact with support services. It is not the first time the company has responded to community needs. Social Bite’s Training and Support Worker in Glasgow Ewain Black knew of Re-Tek’s reputation as a socially minded organisation which had been involved in several community projects, including providing iPads to a hospice to enable patients to continue to communicate with their families. The company has been working with Social Enterprises for the past few years to encourage and support collections of used IT equipment in communities. Re-tek Projects Director Billy McPherson said obtaining out of use computers from businesses was a great means of creating revenue for Social Enterprises. “Businesses are normally quite happy to pass on good quality out of use equipment for charitable benefit. Once data is wiped and the computers sold into our network the profits are shared with the Social Enterprise,” he said. 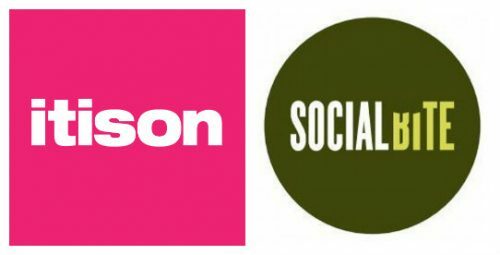 Scott-Moncrieff Partner Fraser Nicol first became aware of Social Bite’s mission after he met Social Bite co-founder Alice Thompson by chance in one of their cafes last July. The company was eager to donate a number of laptops which were no longer in use, especially when they were assured of the security of data removal. “We are really pleased to be able to support Social Bite in this way, many of the services we all take for granted can only be easily accessed online, this seemed a simple and obvious way of helping vulnerable people lead better lives,” Mr Nicol said. Scott-Moncrieff initially donated 17 PCs and 34 laptops from their office in Glasgow and 20 laptops from their office in Edinburgh which Re-Tek collected, securely wiped all data, refurbished and sold into its reseller network. With the money raised Re-Tek was able to secure 25 high spec laptops and four PCs, installing Windows 10 and Microsoft Office. 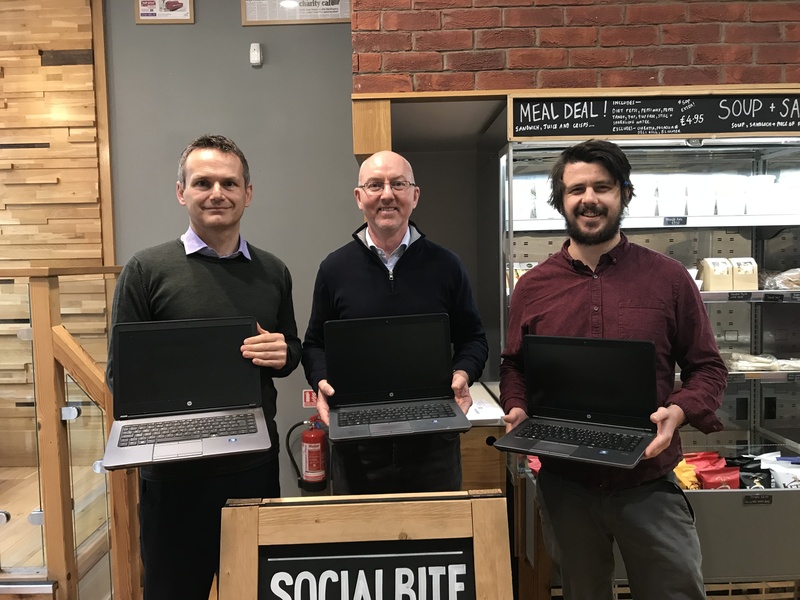 These computers will now be used in Social Bite’s five sandwich shops across Edinburgh, Glasgow and Aberdeen initially to help homeless and vulnerable people access the support services they need. They will also enable staff and volunteers to provide online training and digital inclusion for vulnerable employees, volunteers and customers. previous post: International Women’s Day!